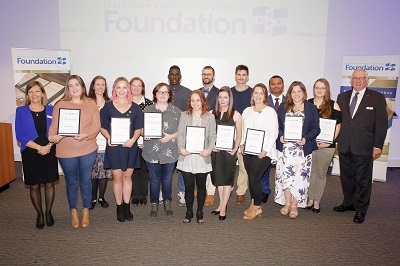 Federation University Australia Foundation had pleasure in awarding 66 scholarships in 2018, across five events. 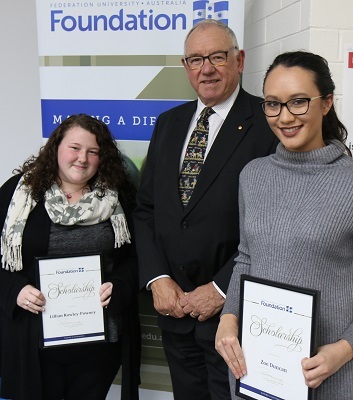 A variety of scholarships were awarded at each ceremony, including Foundation Commencing, Foundation Continuing, Foundation TAFE and Foundation Community Scholarships. 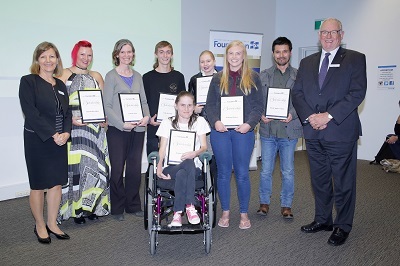 Details of donor named scholarships can be found at Scholarships. 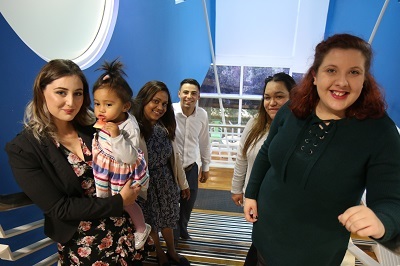 From left: Prof Helen Bartlett, Vice-Chancellor and President; Elizabeth Podboy; Jennifer Point; Cody Howard; Joanne Smith; Sasha Tsobanopoulos; Brittany Romeo; Erwin Aguilar-Lagos; and Dr Paul Hemming, Chancellor. 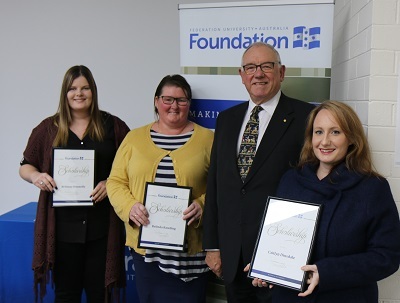 From left: Brittanny Donnelly; Belinda Rawding; Dr Paul Hemming, Chancellor; and Caitlyn Dinsdale. 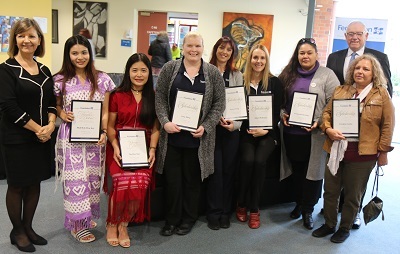 From left: Prof Helen Bartlett, Vice-Chancellor and President; Muh Muh Maw Kay; Tha Blay Sher; Lucy Sleep; Renee King; Aimee McKenzie; Verana Hunter-Raye; Dr Paul Hemming, Chancellor; and Georgina Ganley.